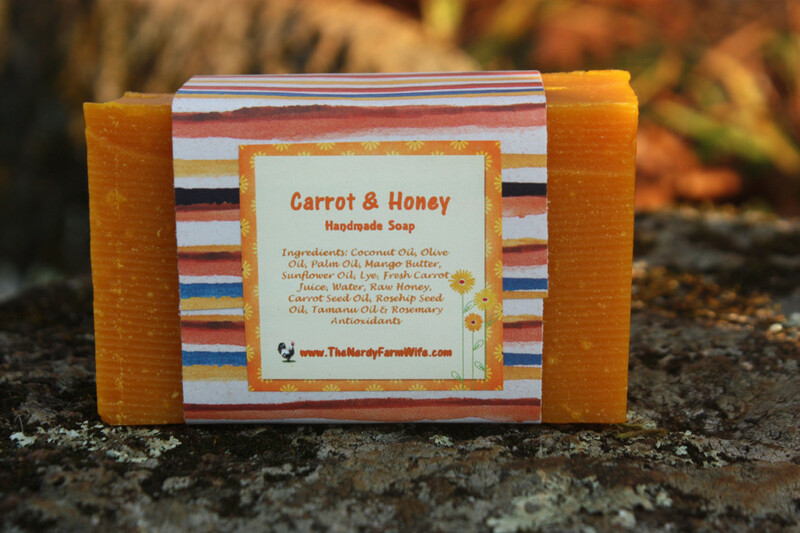 This carrot and honey soap is one of my most popular bars! Most people like to use it as a gentle facial cleanser, but it can be used as a body bar as well. I loaded it up with anti-aging and moisturizing ingredients, so it’s especially suitable for dry, mature skin. Though, having said that, a teenager I know loves how it helps their acne-prone skin as well. Each time I’ve made this recipe, I’ve changed it around a bit, pending on which oils I have available. I’ll post two versions here, in this post. The orange color comes mostly from the addition of palm fruit oil which is a dark red color. All measurements are by weight. You must use an accurate digital scale to make soap. 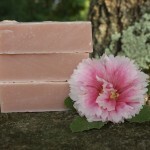 You can buy most of the ingredients you need for this soap from Mountain Rose Herbs or Bramble Berry. I buy and recommend Essential Depot’s food grade lye found HERE on Amazon. 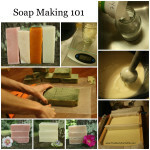 Make according to the directions in my Soap Making 101 post. This recipe is sized to fit my wooden box molds which are non-standard and homemade – the inner dimensions of the molds are: 16 inches by 11.5 inches by 2 inches. Here’s a great site that will tell you how to calculate how big a batch of soap you should make for the size mold you have. Remember you can easily adjust amounts using a lye calculator. This recipe was adapted from the original because I didn’t have quite enough coconut oil or olive oil on hand. I did some substitutions and reran the numbers through a lye calculator to account for the changes. *These recipes contains palm oil. I am aware of the controversy surrounding palm oil and and in the past only bought certified organic, sustainably farmed from Mountain Rose Herbs. A few years ago, I went palm-free, so the majority of the recipes on this site and in my Natural Soap Making ebook are palm-free. Do you love making soap? Let’s keep in touch! 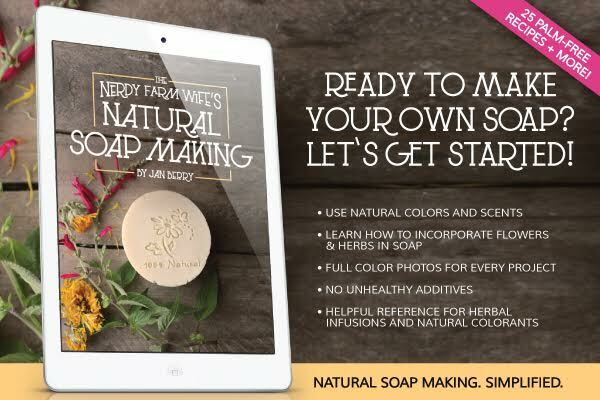 You can find me on Instagram and Pinterest or Subscribe to my newsletter HERE and receive my best natual soapmaking tutorials, DIY body care recipes, plus flower & herb projects sent straight to your inbox 2 to 3 times per month! Tagged carrot, honey, soap recipes. Bookmark the permalink. Im still fairly new “again” I had done soap crafting about 5 years ago but never got to adventurous. Im wondering is there an oil that could work as a Palm oil sub. and maybe go with something like annatto seed powder? i want to try this recipe, but what can i use instead of the palm fruit oil? and can i use red palm oil for the palm kernel oil in this recipe? thanks! The Palm Fruit oil that I used to buy is red so we may be talking about the same thing; the Palm Kernel oil is white. I believe they both have different rates of lye needed to saponify them, so if you substitute one for the other, just run the new oil amounts through a lye calculator first. Too much red palm oil will end up making your bar too dark and potentially staining, so keep that in mind too. 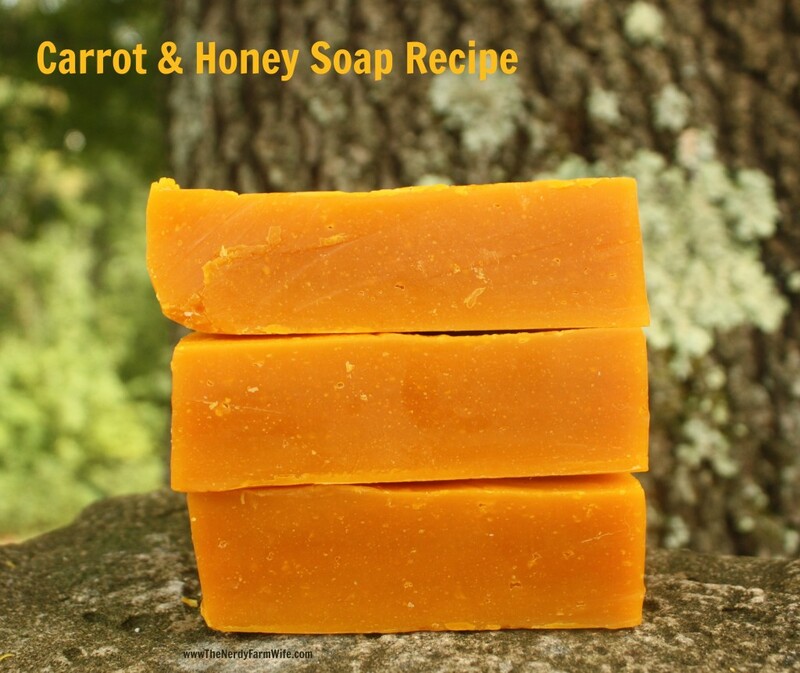 I took my dandelion soap recipe (which was similar to this carrot one) and made it palm free. To make up for the lack of red palm oil, I added annatto seed powder, which you could use here to add some carrot color. You could use that recipe, use carrot juice instead of dandelion tea and swap around the items added at trace. I have never heard of Palm Fruit Oil? I am not opposed to Palm Oil, Costa Rica has farms to grow it, and helps the country. Where can I get Palm Fruit Oil? Hi. :-) What does this soap smell like? Hi StarFire! :) It’s mostly unscented with a trace of honey scent. You could add essential oils if you’d like, but I usually keep mine unscented or lightly scented due to preference & some family members with smell sensitivity. I have a question for this recipe as well as others. I’ve made a couple of your simpler recipes using the hot process method though they did turn out well I have yet to actually use them because I do believe in allowing them to sit out and air for a couple of weeks to harden up a bit. Could you please explain to me how I would do this recipe in the hot process method? I am very new to soap making and I have a friend that I think would benefit from this recipe that I am visiting in about 3 weeks so I need to make this fast lol! Any advice or instructions would be greatly appreciated! Thanks so much for such wonderful recipes! Those are optional (though I love them added in! ), and I would probably stir them in with the honey as well, right before putting in the mold. If you use mango (or shea or cocoa butter), make sure that’s melted before stirring in. Again, I haven’t made this one hot process, but that’s the way I would try first. I hope your friend likes the recipe and you have a great visit! Thank you for the instructions! I wasn’t for sure when to add the “at trace” ingredients with hot process but lucky for me the way you’ve explained it in your response is the way I’ve been doing it so far! Now, do you have any advice on drying times and making the soap dry faster without using all the water/lye discount stuff? I purchased a few of your e-books last night and haven’t read them yet. Maybe something is in there about it but I have been really busy today so no time to read them just yet! My daughter’s suffer from the allergies like your son and just changing our body soap has worked wonders on them! I am researching how to completely get rid of all hygiene products and make all of my own! Do you have any e-books or any books you would recommend on a complete change? I have a lot of people interested in what I am doing and I want to allow others to use the things I make so they can convert into an all organic and all natural lifestyle! Hi Sheena! Thanks for buying the ebooks! The soap can firm up faster if you use a little less water OR something that I’ve been doing lately is adding 1 teaspoon salt to the water before adding lye. It really helps so you can unmold it faster. (This is for cold process though, haven’t tried it with hot process.) I’ve also set bars in front of a box fan for a couple of days & I do think that helped. One person wrote in the comments before that she put her soaps in her dehydrator & they did great! I haven’t tried that myself, but it sounds like a pretty smart idea! For other ebook ideas – you might like the upcoming ultimate healthy living bundle sale (80ish e-books & e-courses super discounted for around $29) – you can see a button for it on my sidebar & a way to get it discounted or free when you tell others about it. 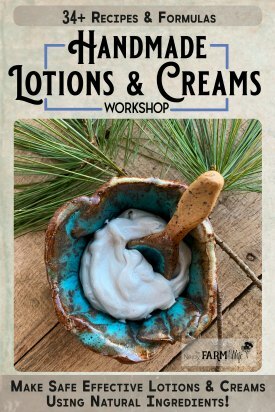 http://www.soapqueen.com/bath-and-body-tutorials/cold-process-soap/baby-soap-buttermilk-bastille-baby-bar/ That site also has some beginner soap making videos that might help you learn all of the ins and outs of making soap in a safe manner. Good luck with your school project! I actually have the bars in front of a fan right now. And I already have gotten all the people I needed to sign up to get the free ebooks!! I can’t wait to get them! I am going to try the dehydrator thing. Maybe it will work or maybe it won’t but I can say I tried lol. Hi. I have a question on whether to insulate this recipe. I have it in a loaf mold right now. It was a lovely carrot orange color when I poured it in. But I checked on it a couple of hours later, and the center is a dark brown. I went ahead and kept it insulated, because it’s not cracking, and I ant to ensure that I don’t get a dark center and a light exterior. But was I supposed to insulate this recipe, or put it in the fridge because it had honey? Will the entire loaf turn brown, and then lighten back up to orange after curing? Or does that dark brown mean that I should not have insulated, and it should have gone into a fridge or freezer? Thanks! I LOVE your website! So happy to have found a site that really explains infusing herbs in oils and water. Oh, yeah. Thanks for replying so fast! So glad to hear the gel phase will still lighten up, because I adore the orange color. Hi Jan! I am not sure when I can get the Healthy Living Bundle. I had 12 friends sign up under me and I am soooo anxious to read them! How can I get them or when will I have access to them? Hi Sheena! You should’ve gotten the link for those by email the first day the sale started. Did you check your spam folder? If it’s not there – then email customerservice @ ultimate-bundles.com (no spaces) Hopefully, they can help you out, but let me know too – if there’s something I can do to help speed things along! I am interested in making my own soap. But every recipe I come across are written in such a way that for a beginner like myself will find it difficult to follow and possibly become discouraged from trying it. Is there a soap making dictionary that will help interpret the instructions of these recipes so beginners can follow in confidence? Hi Sharmon! 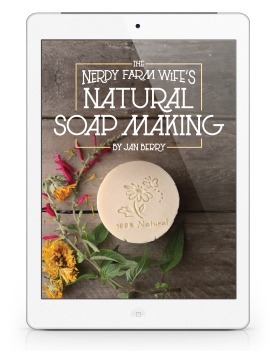 Did you check out this post that goes step-by-step through the soap making process? I hope one of those will help! I am a beginner soapmaker but I admired the beautiful color of this soap for a month and decided to take the plunge! Of course I discovered I didn’t have some of the oils and had to substitute a little here and there using sunflower and canola to replace the palm kernel oil using the lye calculator from Brambleberry. I did do some research on Palm oil vs the red Palm oil which I bought at the health food store. Wanted to verify if I could use more…But all seems to have gone well so far. The batch was egg yolk yellow when I poured it in the mold yesterday. This is a big recipe! I have one wood mold and two silicone molds full. I will unwrap the wood mold tomorrow.The silicone molds will get a couple more days. I am dying to see how it turned out! Love, love, love soaping! I pulled my slightly altered batch out of my wood mold today and it looks like it turned out wonderfully. Perfect texture and consistent coloring. The color is a little duller than I expected, but it hasn’t cured yet and there is no sunshine in my kitchen this time of day. I am hoping it will brighten up a bit with curing time. I am a beginning soaper who has been having good luck so far. I think the instructions were very good and thank you for providing sources on your site for when you run into shortages in the middle of the batch! You saved me! Do you have any good sources for labelmaking? Hi Lisa, I’m so glad that it turned out wonderfully for you! The color comes completely from the red palm oil, I wonder if it’s possible that different brands have different shades? I was a little afraid mine would be TOO orange the first time I made it, but it did well after all. I only ever tried that one brand from Mountain Rose Herbs though. For label making – I have a tutorial for making round labels that I often stick on bars of soap, with a strip of scrapbook paper; it may need a little updating: https://thenerdyfarmwife.com/how-to-create-your-own-round-labels/ but I like using PicMonkey in general for most labels. Hi Sharon! Freshly made carrot juice has a pretty short life of just a day or two, when refrigerated, but you can freeze it in ice cube trays for later use. You can also buy bottled carrot juice in many grocery store produce sections that works just as well as homemade. Your soaps always look great! I definitely want to try this recipe. One question: every time I make CP soap there are always little white spots / flecks in the soap. I can also see those white dots in your soap. What causes them? Is it “normal?” I asked on another soap forum and was told it was undissolved lye bits and I needed to throw my soap away. I don’t think that’s the case so if you could shed some light on this issue I’d really appreciate it. I found in the comments of a tutorial on the soap queen website someone asking this same question. Anne Marie of soap queen replied that they are probably air bubbles. I’m going to be really careful about how I blend my soap when I make my next batch and see if I can get rid of them. If they are air bubbles, at least they are harmless and no big deal. Thanks for your reply. I’m very glad I didn’t throw my soap away! You know, I thought later that I bet Anne-Marie would know the answer. She really is the Soap Queen! :) I’m bad about rushing through my soaps and getting air bubbles; I’ll slow it down a bit too and see how that works. Thanks again for bringing up such an interesting topic! I cannot find Palm fruit oil in the lye calculator, am I missing something? Hi Mary Kay! Palm fruit oil is usually just listed as palm oil, to differentiate it from palm kernel oil. I’m not sure why they don’t specify it on the lye calculator – I found it very confusing at first myself! Hi, I would like to know how using fresh carrot juice affects the shelf life of the soap itself. Will it make it go off faster? Thanks. Hi Lois! Because of soap’s alkaline nature, you can incorporate juices and purees and they don’t usually age any faster than regular soaps. Aging is more dependent on storage (cool, dry, out of direct sun & heat) and whether you start with fresh oils (old oils = soap goes rancid sooner). Omg thank you so much for the response .im going to make the first Recipe for my skin care line . How many bars does this make I’m super curious to know ? I want to put them in sliocone molds .. Please respond thank you sooo much ..also what is Palm kernel oil ? Is this soap safe for kids and sensitive skin? Hi Angel! It’s been a few years since I made this recipe, but I believe I got around 14 bars from this one. This soap should be very safe for kids and those with sensitive skin, unless they’re allergic to one of the ingredients in it. Palm kernel oil is a solid oil that makes your bar of soap hard. It’s controversial though (palm plantations are not environmentally friendly), so you may want to research the topic further and decide what your own personal stand on it is. Do you have any recipes that only use olive oil as an oil for soap? We grow olives and I have a lot of old oil to use. I have a personal issue with buying tropical oils when I have so much oil here of my own. I have tried a bunch of different recipes but none trace well. Would using oatmeal or any herbal additives help? So far I have tried to keep it basic so I can eliminate variables but now I am wondering if anything works. I do get a useable soap, but it is still liquid when poured into the molds and often takes 6 weeks to cure. I also sell my old olive oil for $20/gallon for soap making or salve making. It’s certified organic and grown in California. How wonderful to have your own ready supply of organic olive oil! Pure olive oil soap naturally traces slow, but you can help it along by decreasing the amount of water used in the recipe. Look at the amount of lye in the recipe and then use roughly twice as much water. So, if your recipe calls for almost 4 oz of lye, use around 8 ounces of water. More water than that and it will take a lot longer to reach trace. Using less water also helps it unmold faster. Another trick is to add 1 tsp of salt to the lye water to help it harden up a bit faster. If you have a second type of oil you can use, you could also try 80 or 90% olive oil with the balance being the second oil. Pure olive or high olive oil soaps do take longer to cure – at least six weeks, though olive oil soaps that cure for months are even better. 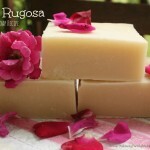 I’ve also found that using milk in the soap recipe adds a nice creaminess and boosts the lather. You could try a honey and oatmeal combination – since the sugars in honey would help boost lather and the oatmeal might thicken it a bit. Adding a natural clay at trace will also often cause your soap to thicken up fairly quickly. I hope some of those ideas help and good luck with your soap experiments!